Aidan Foster-Carter is an Honorary Senior Research Fellow in Sociology and Modern Korea at Leeds University in England. He has followed Korean affairs for 49 years, having begun in 1968 as a juvenile fan of Kim Il-sung. Educated at Eton and Oxford, he taught sociology at the Universities of Hull, Dar es Salaam and Leeds from 1971 to 1997. An early general interest in how countries develop, or fail to, grew into a specific fascination with modern Korea. 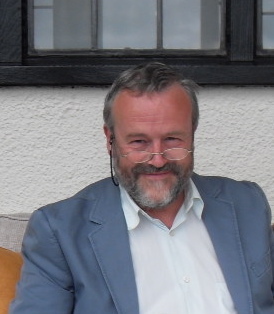 Since 1997 he has been a full-time Korea analyst and consultant: writing, lecturing and broadcasting for academic, business and policy audiences in the UK and worldwide. He has covered Korea for the Economist Intelligence Unit (EIU) and Oxford Analytica since the 1980s, and writes regularly for 38North, NKNews and Comparative Connections among others. During 1993-97 he authored a monthly North Korea Report for business, published in Seoul; and from 2000 to 2005 wrote a ‘Pyongyang Watch’ column for Asia Times Online. His books include Korea’s Coming Reunification (1992) and North Korea after Kim Il-sung (1994; both EIU). His work for the International Institute for Strategic Studies includes two chapters in North Korea Strategic Dossier (2011), and one in IISS’s Asia-Pacific Regional Security Assessment 2016; he was a speaker at the 2016 Shangri-La Dialogue. In a different vein, he has co-authored with Dr Kate Hext (his wife) a book chapter on the arts as a site of interaction between North Korea and the wider world. Since 1982 he has made 28 visits to the Korean peninsula, including two to North Korea. His ambitions are to read more sijo, travel by train from Pusan to Paris, and to live to see Korea peacefully reunified.